Now that St. Patrick's Day is upon us, I will let you in on a secret. We always plan our corned beef dinner with leftovers, to enjoy the second best thing about this holiday; homemade hash. Hash is a salty, meaty dish that always tastes amazing as long as you follow the simple rule of 3. Use equal parts of three ingredients as your base, and anything you add to it is just the delightful extras. The three parts are onions, potatoes, and corned beef. I prefer the leftover corned beef from last night's dinner, so I often have to make two pieces of meat. We easily finish one just for our first meal. One of my favorite additions to my homemade hash is cabbage. 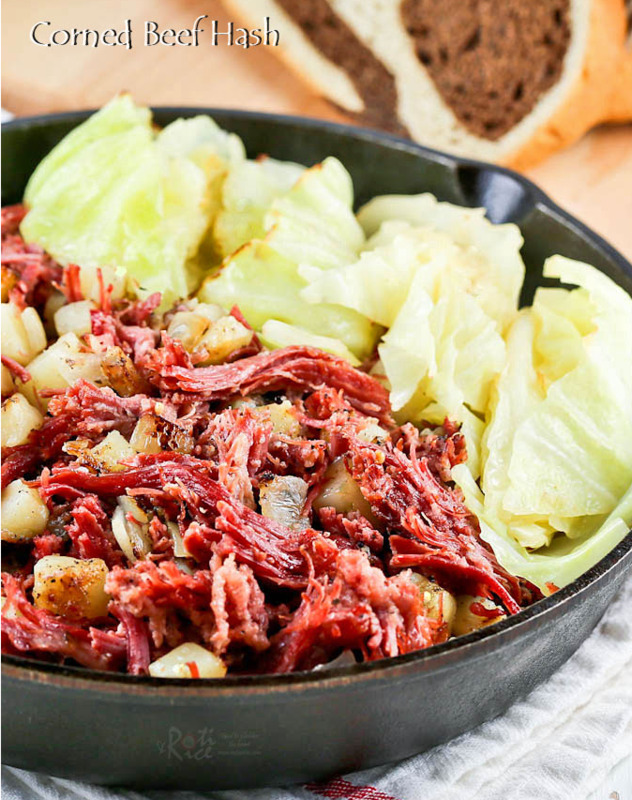 The flavors just seem to need one another, but I use fresh cabbage for my hash and save my leftover cabbage to top my corned beef sandwiches. Saute with the onions until soft, I add the meat and potatoes next. Another tip is to season as you go. The potatoes and cabbage can use quite a bit of flavoring, because they dilute the natural saltiness of the meat. Essentially, you are rebalancing the flavors. It's an easy meal that is both a comfort food and a dining experience. Everyone makes hash differently, but most will agree that all you need to add to the plate are eggs and toast. This recipe is from Roti n Rice, and it's fabulous! Check it out by visiting the website.